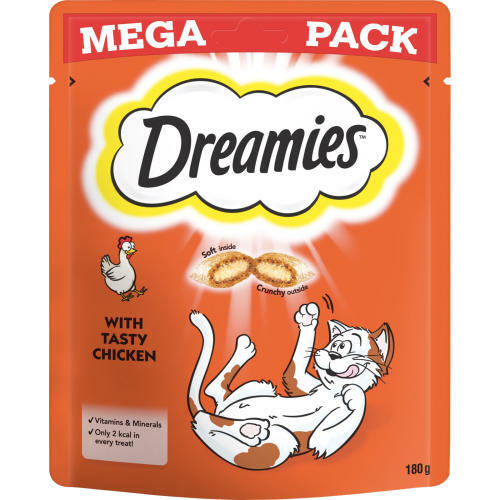 Dreamies Mega Packs of Cat Treats are crunchy squares filled with scrumptious soft centres which cats find irresistible - now in a larger, more convenient pack! With an average of 31 treats per 60g pack they are great value for money! Cats can be a bit fussy when it comes to a regular food-stuff or treat, we personally recommend these treats to have your cat never turn their nose up when giving them a little extra something. Only 2 calories per treat! Now available in 3 delicious flavours!